Ananka's Diary: Play With Your Food! Awesome! 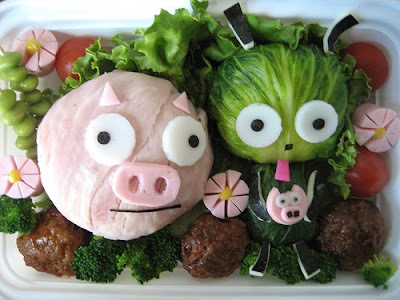 Gir and Pig in food form! 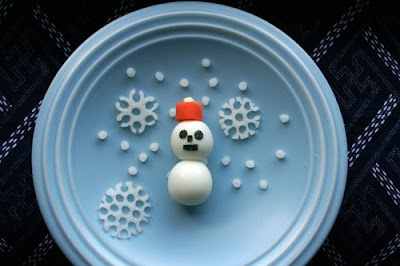 Food art rocks! Is the second one form Spirited Away? Amazing! I can't wait to try it! That's so awesome. I need a bento box...and somewhere to pack lunches for. to dahlia- yes that one is from spirited away. i loooooove that movie! Woop I have no school today! And that is wicked! What? NY had a snow day? Snow? We Marylanders know nothing of this "snow". Is it the magic white flakes that fall from the sky? Also, awesome lunchboxes, I have got to somehow aquire one. I loved the Gir and Pig Themed lunch. IM: It's another Kirsten Miller. (There are a lot of us, apparently!) I think it's about autism. This is so cool. I love your blog even though I'm way old. That is soooooooooooo cool! I love things like that!!! Calandira: Your never too old for Kiki Strike! 42: Is your name about the Hitchikers Guide? I love that book! Sometimes if I reaaaally don't want to eat, but I have to... And just say I put chocolate spread on my bread, it still looks boring and I won't eat it, so I have to put colorful hundreds and thousands. Then I'll eat it because it's rainbow, ha! I'm such a kid! Undiscovered Universe: Yes, it is. It's no face!! Lol. That is really funny because the weekend I was on a trip. We went in a bookstore in Little Tokyo and there was this book with a bunch of those things in it. hey had a bunch of different characters. 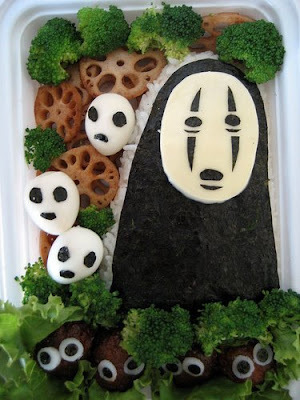 Oh you know that the black and white head food decoration is a movie from japan that is made by a very famous director. I watched it when I was 7 and I got really scared. here are some really cute ones!!!!! !